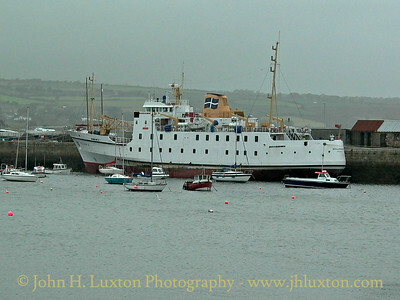 RMV SCILLONIAN III at Albert Pier, Penzance on a non sailing day towards the end of the 2002 season. 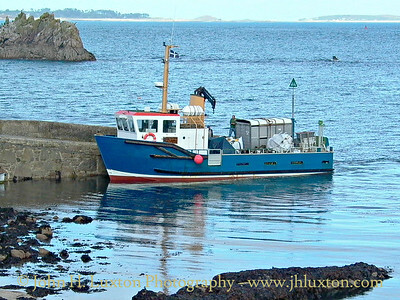 LYONESSE LADY calls at St Agnes. 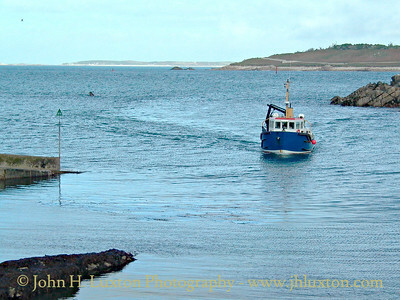 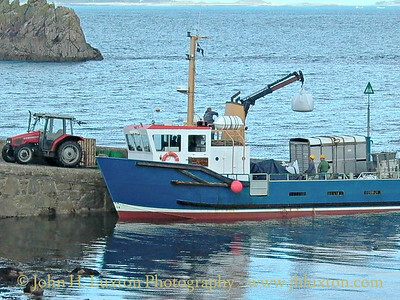 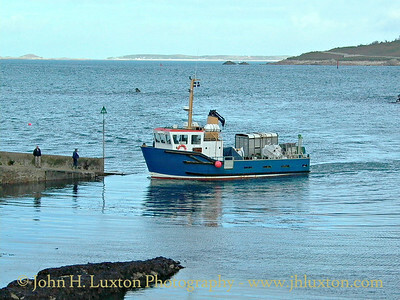 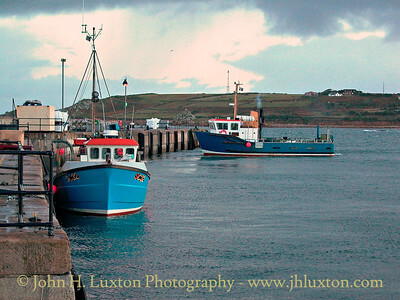 LYONESSE LADY moves onto the quay at Hugh Town before at the start of a day's work. 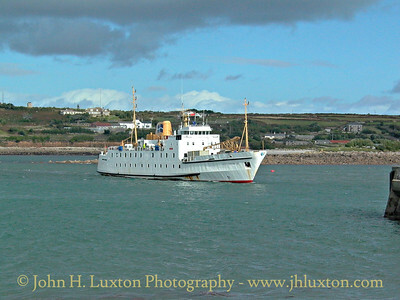 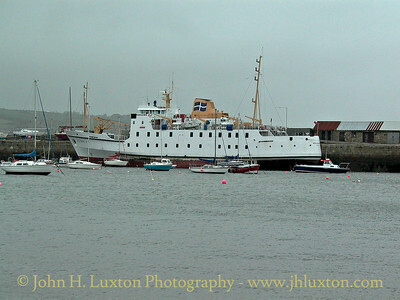 RMV SCILLONIAN III arrives at Hugh Town, St Mary's on her morning sailing from Penzance. 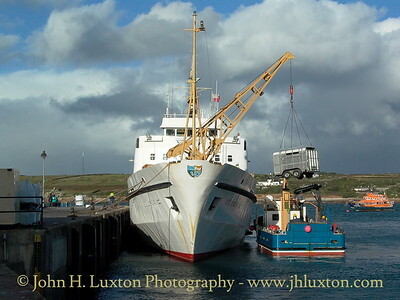 All cars conveyed to and from Scilly have to be lifted on and off both RMV SCILLONIAN III and GRY MARITHA which can be somewhat time consuming unlike the ro/ro facilities offered to most offshore islands. 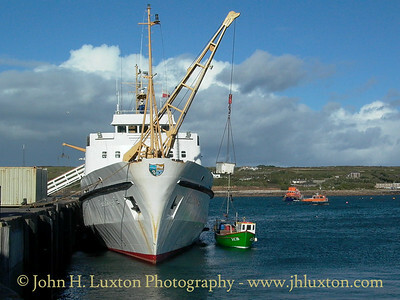 Cargo being unloaded onto St Agnes Boating's SPIRIT OF ST AGNES as LYNONESSE LADY moves into position to load arriving cargo. 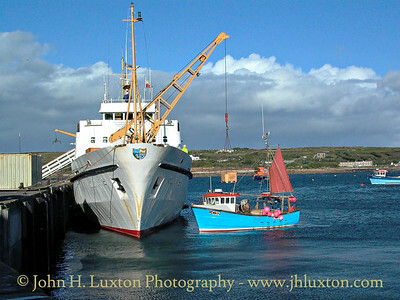 A consignment of Scilly fish is loaded aboard RMV SCILLONIAN III from Isles of Scilly registered fishing vessel SC35. 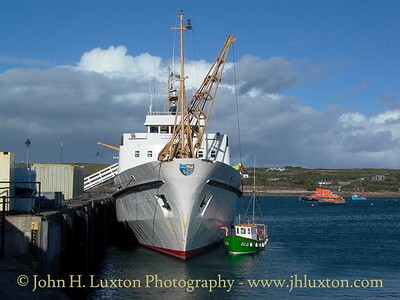 A consignment of Scilly fish is loaded aboard RMV SCILLONIAN III from Isles of Scilly registered fishing vessel SC32. 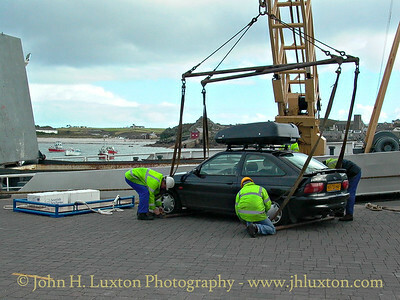 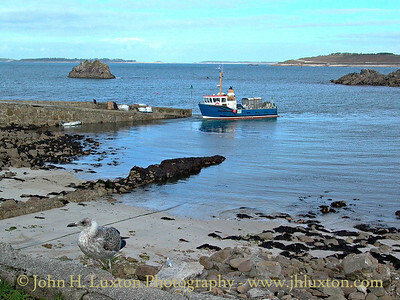 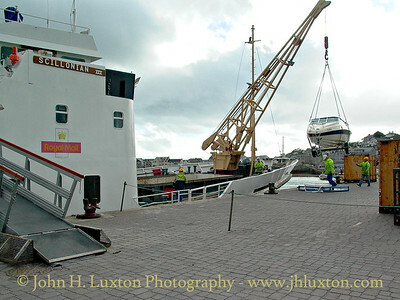 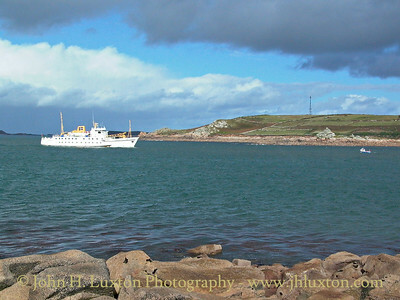 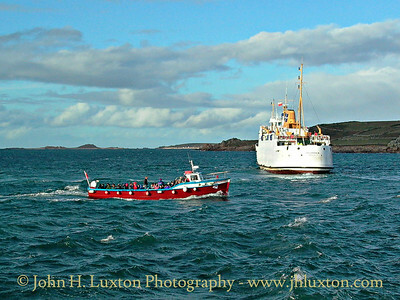 Loading a horse box brought from one of the off islands by LYONESSE LADY onto RMV SCILLONIAN III at Hugh Town Harbour. 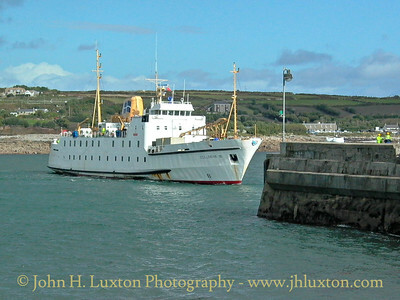 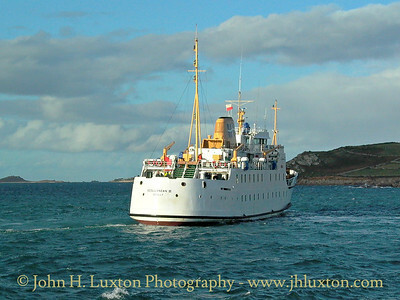 RMV SCILLONIAN III departing Hugh Town for Penzance. 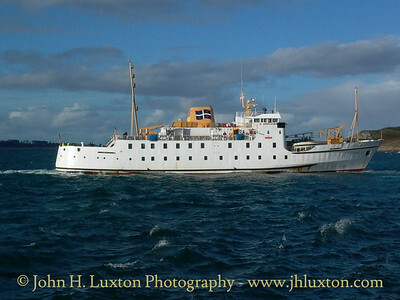 RMV SCILLONIAN III departing Hugh Town for Penzance. 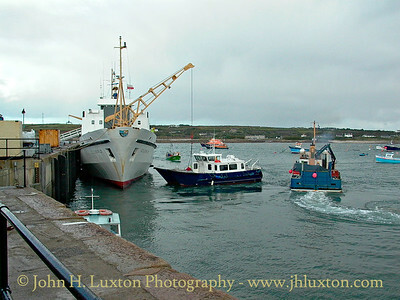 Launch surprise returning with a good load of passengers. 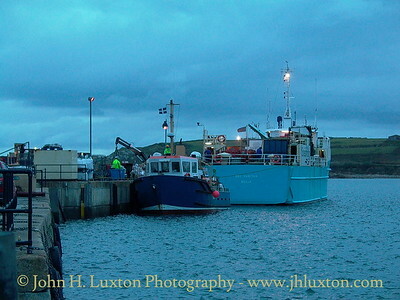 GRY MARITHA at Hugh Town Quay discharging cargo on the morning of October 24. 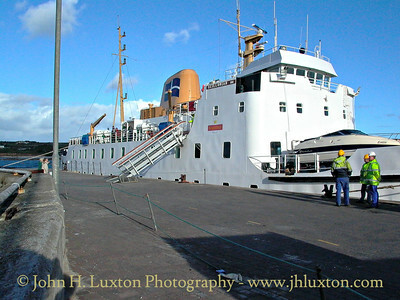 Usual practice was for the ship to arrive in the evening rom Penzance with most of the cargo being discharged early the following morning. 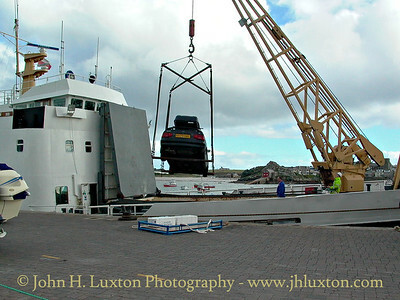 Some of the cargo being transferred directly into the inter-island ferry LYONESSE LADY.